And so the Aligarh tarana came into being. Majaz died a year after it was first played.2 A poetic justice indeed! Dr Sami Rafiq (Professor in the Department of English, AMU) translated the tarana into English, in 2014, as part of her book Aahung. main apne chaman ka bulbul huṅ! 1 Dr Rahat Abrar, Muslim University Ki Kahani, Farzandan-e-Aligarh Ki Zabani (Aligarh: Alisha Publications Pvt Ltd, 2015), 319-328. 2 “Asrar-ul-Haq Majaz – A Journey of Love, Hope and Nationalism”, accessed October 21, 2017, http://theothernews.in/index.php?option=com_content&view=article&id=8699:asrar-ul-haq-majaz-a-journey-of-love-hope-and-nationalism-&catid=44:literary&Itemid=304. 3 Ainel Jafari, Facebook comment, October 18, 2017. 4 Dr Sami Rafiq, Aahung: Poems by Asrarul Haq Majaz Translated into English (New Delhi: AuthorsPress, 2014).91-93. 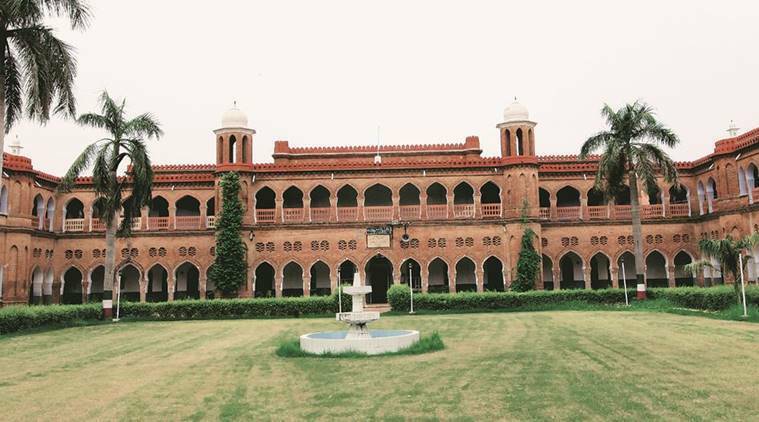 Posted on October 21, 2017, in Education, Muslim Upliftment and tagged aligarh muslim university majaz, asrarul haq majaz amu, dr rahat abrar amu, dr sami rafiq amu, dr zakir husain amu, ishtiaque ahmad khan tarana, izzat yaar khan amu, majaz nazr-e-aligarh amu. Bookmark the permalink. 1 Comment.